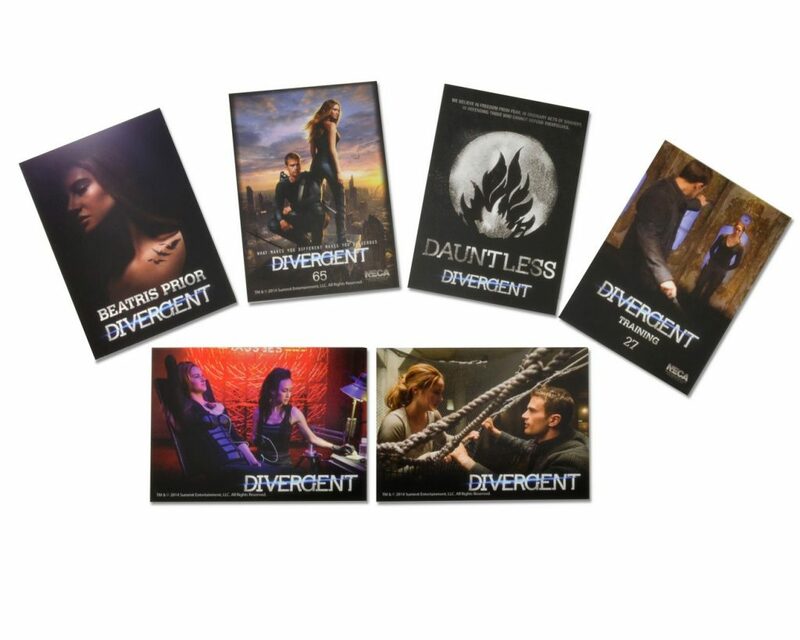 These premium trading cards from the Divergent movie are a wonderful addition to any collection! 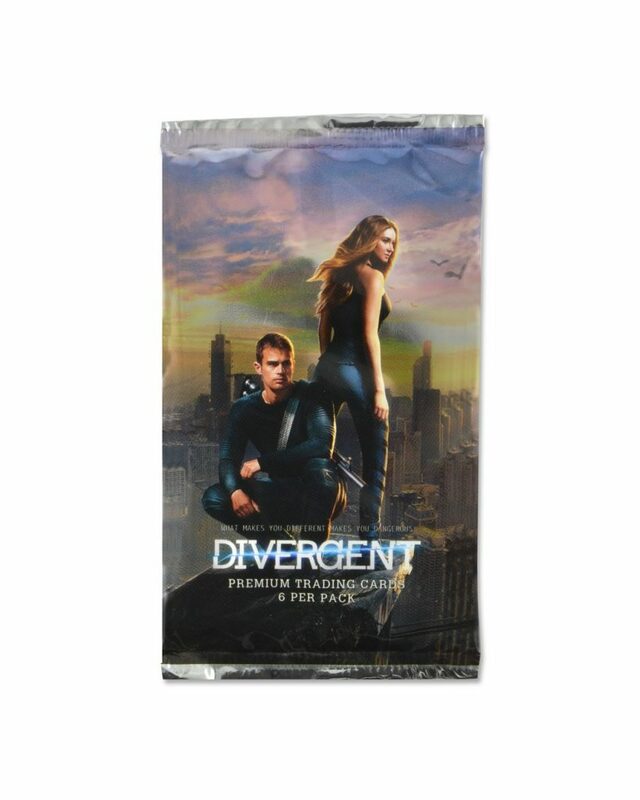 Each foil pack contains 6 random cards from the 72-card series, which includes Faction, Character, Story and Poster Cards. The cards are printed on glossy stock and measure 2.5×3.5″ each.